Sleek, Smooth, seductive. Words that come to mind when you're looking to add an over-the-top Silver Bow Tie to your costume. When the Halloween season is cause for celebration, you certainly don't want an inferior bow tie to top off your ensemble. 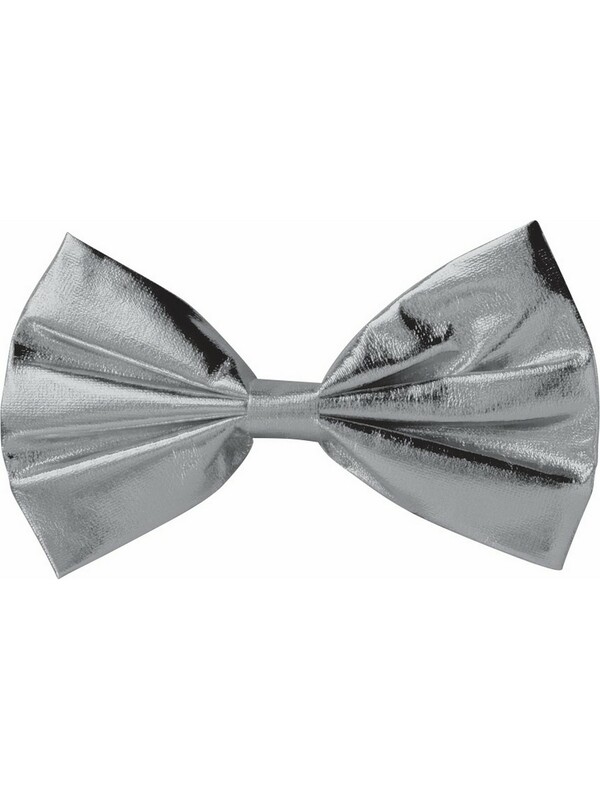 Get your Silver Bow Tie today and let the festivities take you over!